In his 2015 testimonial for the Canadian Bell Let’s Talk campaign, Howie Mandel described the workplace stigma of mental health. Because of this stigma in the workplace, people who have mental health issues often find it difficult to ask their employers for help, even though professional support may be available through company benefits and employee assistance programs (EAPs). However, employers are strongly motivated to address mental health issues, which account for significant absenteeism and reduced workplace performance (presenteeism). The Mood Disorders Society of Canada estimates that mental health–related issues account for as much as 79% of long-term disability claims in Canada. For many people, the first step after admitting to themselves that they may have a mental health issue is to search for assessment tools online. While there are many such tools, it is not easy to find a validated one that also respects confidentiality. A tool offered and promoted by one’s employer may be a preferred choice, especially if it is coupled with other services and supports. FeelingBetterNow (FBN) is an online tool that employs a diagnostic risk-assessment algorithm to place individuals within one of three distinct levels of risk. Low-risk users are directed to self-care tools, while medium- and high-risk users are seamlessly triaged to appropriate care providers, such as EAP counsellors, psychologists or physicians. The tool, created by Toronto-based Mensante Corporation, is offered through employers and EAPs. 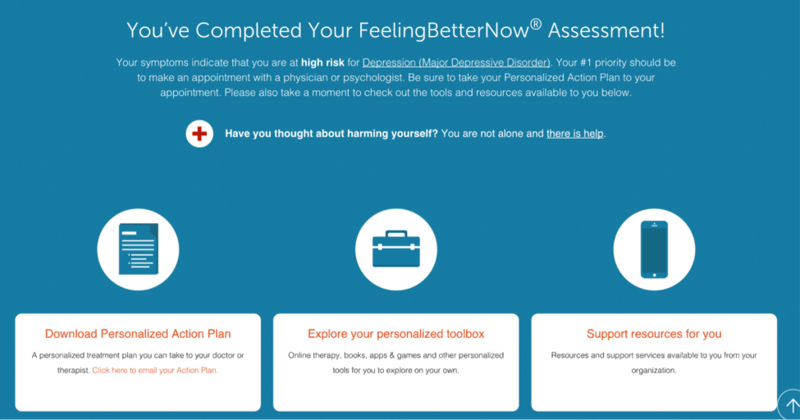 FeelingBetterNow (FBN) uses a diagnostic risk-assessment algorithm to determine mental health risk levels. FBN was originally developed as a tool to assist family physicians in making an initial mental health diagnosis, but the company pivoted when employers and EAP providers demonstrated a strong interest in the product. Mensante now sells FBN primarily through those channels. The company redesigned FBN so that it could be used directly by people seeking a validated and confidential initial mental health assessment. In addition to its assessment results, FBN also offers users a tailored action plan of recommendations, links to support resources (tailored to the employees of a given organization) and additional tools organized in a toolbox. FBN also includes a built-in database of more than 70 mental health, self-harm and suicide prevention crisis lines across all Canadian provinces, territories and localities. Since FBN primarily serves employees, it is designed to work with organizations’ existing employee wellness, absence and disability management programs. It can also provide consolidated and de-identified data to help organizations evaluate the effectiveness of their human resource programs. Founded by psychiatrist Sam Ozersky, Mensante is strongly oriented to current clinical practices and maintains a Clinical Advisory Board. 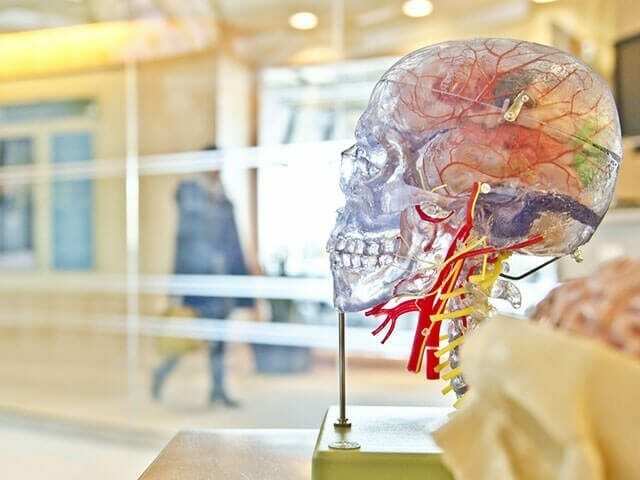 The company recently revised FBN to incorporate the latest version of the American Psychiatric Association’s classification and diagnostic tool, the Diagnostic and Statistical Manual of Mental Disorders or DSM-5. FBN now covers 95% of the mental health spectrum. As the recent Bell Let’s Talk campaign emphasized: “Talking is the first step towards meaningful change and building greater awareness, acceptance and action.” As employers recognize that some of their employees face mental health challenges and begin to openly deploy and promote resources like FeelingBetterNow, they are helping to build that awareness and acceptance, and—most importantly—they are also providing resources to help people take action.